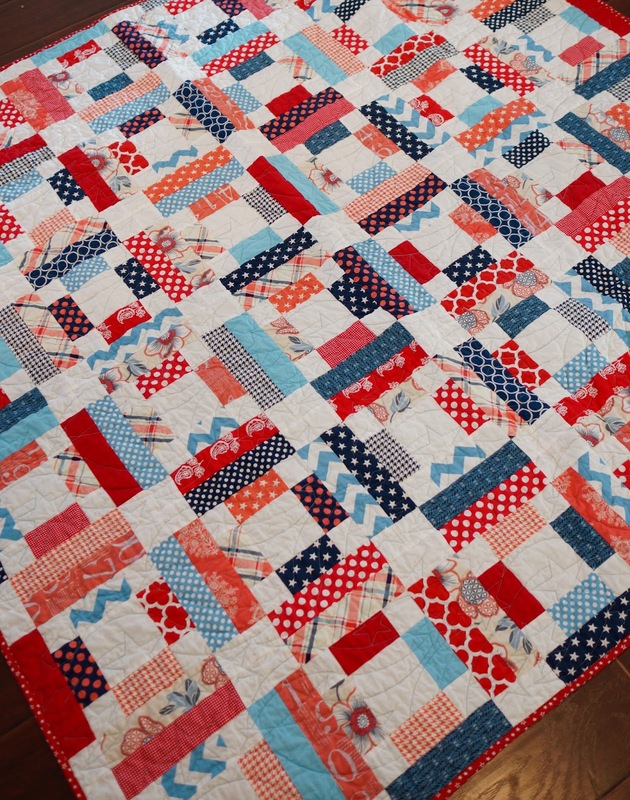 This quilt is a special quilt for a special friend. 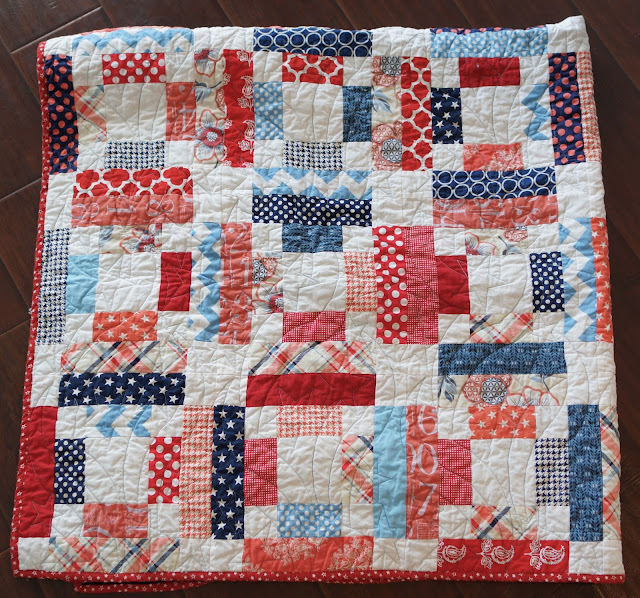 I've been wanting an Americana Quilt for some time now. I love red, white, and blue together because I'm so patriotic. Plus it's so summery and fun! I found the CUTEST Riley Blake fabric called "vintage verona" and I based all the colors for my quilt off of it. Red, coral, navy, cornflower, off white, and white.